Lorna Hutson is Berry Professor of English Literature at the University of St Andrews. She received her MA and DPhil from Oxford; her doctoral research was on the Renaissance prose writer Thomas Nashe (1567-1601), and was published by Clarendon Press as Thomas Nashe in Context (1989). From Oxford she move to QMUL and later took up a Chair at the University of Hull, before spending four years as Professor in the English Department of the University of California at Berkeley where, with Victoria Kahn, she edited Rhetoric and Law in Early Modern Europe (Yale, 2001). 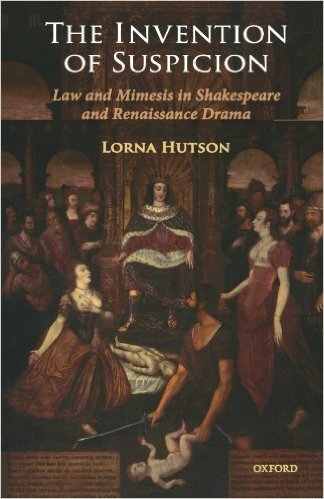 Recent research concerns the rhetorical bases of Renaissance fiction and drama, and particularly the forensic or legal underpinnings of Renaissance poetic fictions. She is currently working, with Bradin Cormack, on the Oxford Handbook of English Law and Literature, 1500-1700, and directs CMEMLL, the Centre for Mediaeval and Early Modern Law and Literature at the University of St Andrews.